No matter how large or small your lawn may be, it deserves some care and attention. It’s not just a case of keeping the grass short and the mower in a straight line, if you want a lush and healthy lawn there’s a little more to it. And that’s where Diamond Garden Care can help. We understand about how long or short – and how often – grass should be cut to encourage good health all year round. 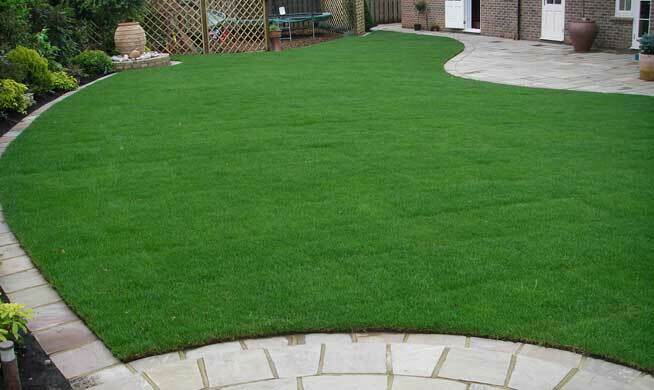 The perfect finish to any lawn is clean edges, a simple but effective job that will really smarten up the look of your garden. If we’re visiting regularly we can ensure your lawn is well fed and fertilized, aerated, scarified, weeded, fed and watered. As Autumn arrives, regular leaf clearing will ensure your lawn winters well and doesn't spoil under a layer of mouldy debris. If your lawn is patchy or in poor condition, we can seed the area. Or if it's simply beyond help, we can re-turf and nurture new growth. Love your garden more, contact your local Diamond Garden Care team for a FREE no-obligation quote.